We know about some of Electronic Arts’ plans for 2019, including the forthcoming release of BioWare’s Anthem in February and its sports titles that will no doubt drop sometime in mid to late 2019. But what about the rest of the year? Well, based on a statement prepared by the company, it appears that Respawn Entertainment will be taking over the second part of the year with not one, but two key releases. IGN initially published the report, in which the publisher noted that it has several games in the works across various studios. Among them is their recently acquired Respawn, who’s hard at work on two games “that are slated to launch by next holiday season." Though specific titles weren’t announced, it looks like one of those games will be Star Wars Jedi: Fallen Order, which could release around the same time as Star Wars Episode IX sometime in December 2019. There’s a chance it could come sooner, like Star Wars: Battlefront II did, but we won’t know more until the EA Play 2019 showcase, which is likely to take place at the same time as E3 2019 in Los Angeles. We’ll let you know once those plans are announced. So what about the second game? IGN insinuates that it could very well be the next chapter in the Titanfall series, Titanfall 3. The game could come much sooner in the year, to avoid being in the shadow of the bigger Star Wars title. No doubt EA learned its lesson when it released Titanfall 2 a week after Battlefield 1 back in 2016. 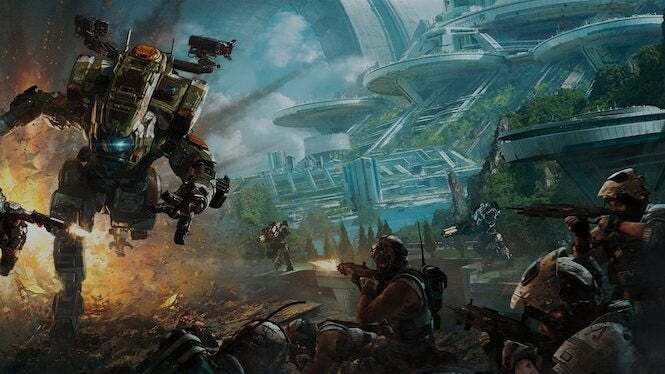 Again, EA didn’t confirm any names, so unless Respawn is working on an all new franchise that we don’t know about, we can look forward to both its Star Wars and Titanfall projects over the next year -- which is something that we could be very excited for. I mean, just take a look at what kind of impact Titanfall 2 left...not to mention what Respawn Entertainment can do with the Star Wars franchise in a single player/multiplayer oriented environment. We’ll let you know as soon as the publisher -- or the development team -- confirms what’s being worked on. But next year could be huge depending on what’s coming our way. Fingers crossed for Jedi and mechs. In the meantime, be sure to check out Titanfall 2 now for Xbox One, PlayStation 4 and PC.